Once she receives the sacrament of Baptism, is she required to convert to Catholicism for that Baptism - and therefore the marriage - to be valid in the eyes of the Church and in the eyes of God? I have read that a Catholic can even marry an unbaptized non-Catholic within the Church, but that such a marriage "would be valid, but not sacramental." If we were to marry in this fashion without her Baptism, is there a danger of living in mortal sin as a result? I assume if that were the case the marriage would not be allowed in the first place, but this is a grey area I would like to have clarified. First off, Baptism is pretty big deal in the Catholic Church. In order to ensure that the adult is serious and understands what it entails, they must go through the Rite of Christian Initiation of Adults (RCIA), a series of classes about the beliefs of the Catholic faith, typically taking place over several months. * At the end of that period, usually at the Easter Vigil, they publicly profess that they believe all that the Catholic Church teaches, and express their desire to join the Catholic Church. That is, they are publicly converting to Catholicism. They then receive the sacrament of Baptism, along with both the sacrament of Confirmation and their first sacrament of the Eucharist. In other words, converting to Catholicism is a prerequisite for Baptism (and the accompanying Confirmation and Eucharist). While you could certainly lie when you publicly say that you believe all that the Catholic Church teaches and then get baptized, that would make the Baptism invalid in the eyes of the Church, as well as the consequent sacrament of marriage (even if it's never "caught" by the Church). If your girlfriend is not prepared to leave her Buddhist faith and convert to Catholicism, then she cannot become baptized. * Some parishes allow individuals to join RCIA if they want to become educated in the Catholic faith, but do not intend to convert or be baptized. It's not uncommon for an interfaith couple to join RCIA together so that the non-Catholic better understands their spouse's faith. I have read that a Catholic can even marry an unbaptized non-Catholic within the Church, but that such a marriage "would be valid, but not sacramental." 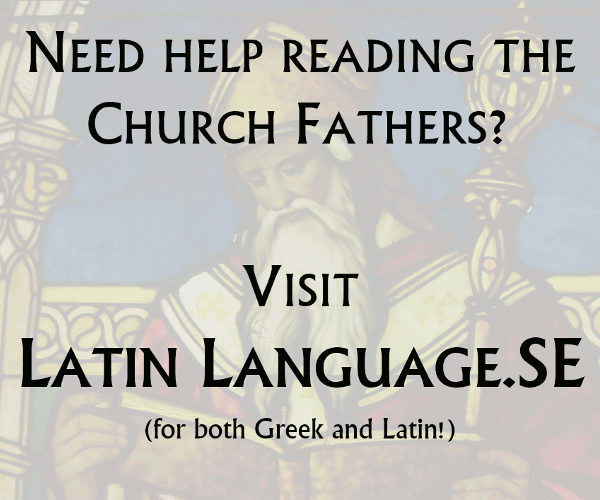 According to the law in force in the Latin Church, a mixed marriage [i.e. two Christians where only one is Catholic] needs for liceity the express permission of ecclesiastical authority. In case of disparity of cult [i.e. marrying a non-Christian] an express dispensation from this impediment is required for the validity of the marriage. This permission or dispensation presupposes that both parties know and do not exclude the essential ends and properties of marriage; and furthermore that the Catholic party confirms the obligations, which have been made known to the non-Catholic party, of preserving his or her own faith and ensuring the baptism and education of the children in the Catholic Church. The exact process will vary depending on your diocese, but nowadays it's typically started by talking with the priest/deacon of your parish, who then submits a form to the Bishop. Here is the form for the Diocese of Honolulu, and here is a similar form for the Diocese of Ossory. If these things are followed, then you are free to marry your girlfriend even if she chooses to remain Buddhist. * The difference between a sacramental and non-sacramental marriage is partially described in this question. If you have further questions about the difference, it's best to ask a new question on this site. ** The process of marrying a baptized Christian of a different denomination (called a "mixed marriage") is similar, but has a few differences that are best answered in other question. If we were to marry in this fashion without her Baptism, is there a danger of living in mortal sin as a result? I assume if that were the case the marriage would not be allowed in the first place, but this is a grey area I would like to have clarified. No, if you follow the process of being granted a dispensation for disparity of cult, you are not living in any sort of mortal sin (if you fail to get the dispensation, then you would be committing fornication, which is a mortal sin). Indeed, CCC 1637 encourages the Catholic to practice their faith in the hopes of leading their spouse to join the faith of their own volition. So the Church, rather than believing you to be in a state of mortal sin, supports your marriage (so long as the criteria above were followed) and hopes that in the future it will lead your wife to convert to Catholicism of her own free will. To be baptized as a Catholic means to become a member of the Catholic Church, and thus believe all the things that a Catholic should believe. Part of the ceremony is for the person baptized to affirm that. Baptism is the culmination of a conversation to Catholicism, not a precursor to it. No priest should baptize an adult knowing that they did not actually believe what they are promising they believe. To continue as a practicing Buddhist would be a conflict with the Catholic faith, and an intention to continue practicing it would be grounds for denying baptism. People have on occasion told lies about what they believe in order to be baptized, but I'm not going to advocate that. While it is true that one cannot be baptised without becoming a Catholic, it may be possible for your girlfriend to convert to Catholicism without renouncing Buddhism. There is substantial variety within the different sects of Buddhism and while all of them are very different to Catholicism, some of them don't necessarily contradict it. It may be that your girlfriend can be both a Buddhist and a Catholic, in the same way that other people are both republicans and Catholics. As an example, Fr. Robert Kennedy is both a Jesuit priest and a zen roshi. One way to proceed would be to go through the Nicene creed with your girlfriend to see if there is anything there that she feels her Buddhism would not let her believe. If there doesn't seem to be any conflict, the preparation for baptism will include a series of classes on what the faith is all about. Once your girlfriend has completed these, she will know enough to determine for herself whether baptism is something she can go through with. Alternatively it is possible to have a valid marriage with a non-Catholic, as described in some of the other answers. The best thing to do is to talk to your parish priest about what is needed. I have several Catholic friends who have valid marriages in the eyes of the Church and are married to non-Catholics (both those practicing other faiths and those who have no faith). There are usually a couple of stipulations (like agreeing to raise the children in the Catholic faith), but it is permissible. However, talking to your priest is the easiest way to know what needs to be done. Not the answer you're looking for? Browse other questions tagged catholicism marriage baptism or ask your own question.